God, Our Heavenly Father our prayer life gains greater depth as we learn to pray with power. Indeed the power and glory are all Yours. Just like the earth is Yours and the fullness thereof. Teach us to become good stewards of Your bounty and Your goodness. Equip us with spirits of sharing and caring for those who are in need and distress. May You bless the work of our hands and the concerns of our hearts. We seek to be found worthy of Your grace and mercy. We seek to live so You can use us anytime and anyplace. Drop Thou still dew of quietness until all of our striving may cease. In Jesus' Name we pray, Amen. 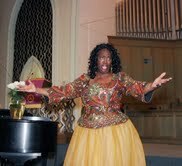 Baltimore native and Metropolitan Opera star, Ms. April Haines, returned to her native roots in a concert performance at Union Baptist Church on Sunday, March 28, 2010 at 4:00 p.m. Ms. Haines used this opportunity to thank the many friends, educators, and family who were instrumental in her stellar career. She also introduced the audience to mentees she is grooming in the performing arts. It was a stimulated and inspirational affair that left everyone feeling the warmth of her bubbling personality. Dear God, our prayer life is growing stronger as we learn that powerful prayers are introspective, intergenerational, intercessory, and interrelated. Abide in us as we continue our journey through faithfulness. "Great is Thy faithfulness, morning by morning new mercies we see." This is the confidence we have in You that causes us to "trust in the Lord" until our earthly journey is over. We thank You, God, for our family and friends who partner with us in our quest to be found worthy of being called Your children. Indeed the comforting presence of our fellowship reassures us that everything will be alright. You are a prayer answering God who is full of grace and mercy. "Incline Your ear unto us and grant us Thy peace." In the Name of the Father, Son and Holy Spirit. Amen. Ms. Dorothy Height has consistently been involved in the struggle. She is an overcomer. Her life's story is a source of inspiration to women and people of color all over the world. We need to collectively offer a prayer for her during her time of illness. She possess as spirit that is enduring and everlasting. 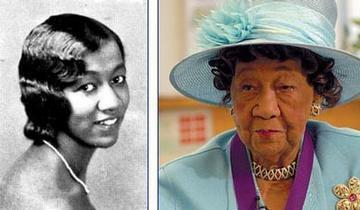 On April 20, 2010 it is noted that the angels in heaven called Dr. Dorothy Height home to her eternal rest. Union Baptist Church's Cultural Arts Ministry sponsored the 3rd Annual Civil Rights Movement Symposium: The Church, The Community, The Song. Part I featured a panel discussion. The top row depicts the moderator Ms. Evelyn Chatmon, Ms. Joann Jolivet, and Ms. Shirley Basfield Dunlap left to right. The panelist left to right are Mr. Stan Stovall, Ms. Esther McCready, Dean Phoebe A. Haddon, and Lt. Junior Grade DeCarol Davis. Mr. Stan Stoval, co-anchor WBAL 11 News at 5, began the youngest TV news anchor many years ago at the age of 18. Ms. Esther McCready was the first African American to attend the University of Maryland School of Nursing. First denied she was represented by Charles Hamilton Houston, Donald Gaines Murray and Thurgood Marshall. On April 14, 1950 the Maryland Court of Appeals ruled in her favor and her admission opened the way for African American's to attend the School of Nursing, its other professional schools, and College Park. Dean Phoebe Haddon became the ninth dean of the University of Maryland School of Law on July 1, 2009. She became the first African American Dean of the Law School. Lt. Junior Grade DeCarol Davis graduated from the U.S. Coast Guard Academy in 2008 with a degree in Electrical Engineering. She was the first African American to serve as valedictorian of the Coast Guard Academy. God teach us to pray prayers that are introspective, that are intergenerational, and that are intercessory. For it is our desire to pray with power: to access the portals of heaven and to defeat the evil one. Every now and then racism lifts its ugly head and we are reminded that the struggle against sin never ends. We cannot be free until everyone is free. That's why we praise the name of Jesus Christ because he was wounded for our transgressions. Thank you, God, Our Father, for saving us, loving us, and equipping us to become one of your children. We pray for the families of our church and community in Your blessed Name, Amen. Too often, O God, we prematurely celebrate our victories without fully paying the sacrificial costs. Forgive us for shouting "Hosanna" while shirking our responsibility of service. Forgive us of our willingness to deny You and drink from the cup of public opinion. Forgive us for choosing the ways of the world when we know that You are the center of our joy. On this Palm Sunday, prick our consciousness and probe our spirits so that we can return to our first love, the love for Jesus Christ. Lift us beyond the horizon of shouting into the heavenly heights of service glad and free; and in Your moments of trial may we be found worthy so that You can count on us. "Ride on King Jesus" into our hearts. Amen. 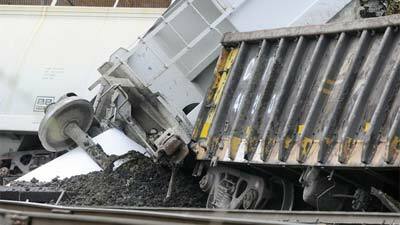 Has anyone noticed that we have had a recent rash of train derailments? What going on with out rail system? For long we have taken for granted the value of our railway system. Not only is it affordable for people, it is also a primary transportation method for products. Deferred maintenance is a major problem with rails, public works, bridges and tunnels in America. If you want to put people back to work, invest money in rebuilding our infrastructure! Hire residents from local communities to rebuilt these valuable systems. Does it really make a difference to you which person is Governor of Maryland: Robert Ehrlich or Martin O'Malley? Well it beginning to look like a rematch is in play. In this case we will be able to compare records of service for four years as the Governor. The contest will be personal and profitable for those who are in the business of electioneering. Some polls have O'Malley winning 60% to 40%. Ehrlich's polling suggests that he wins 51% to 49%. What I do know is that the African American community will play a major role in this election. I also know that Prince George's County will be solidly in the mix. What I do know is if their is something you want from Governor O'Malley, now will be the time to ask. We thank You God, Our Father for the beauty of our day. We pray that we are found worthy of all the goodness You have given unto us. Thank You for being God all by Yourself. We honor Your Name and praise You forever more. In this spring season we pray for traveling mercies and that You will wrap Your strong arms of protection around us. We pray for the children of the world, our political leaders, and the persons who count themselves in Your service. We pray for reconciliation and healing within our faith communities, homes, and country. We pray this prayer and all prayers in the Name of the Father, Son, and Holy Spirit, Amen. When I am in trouble, stand me by me. When I am old and feeble, stand by me. When I am being tossed upon the sea and the world doesn't seem to care, You are the Master of wind and water, stand by me. In the midst of life's faults and failures, stand by me. Dear God, my earnest prayer is that You continue to be my anchor in the midst of life's storms. I pray for the power of Your presence to end life's diseases. I know that You are able to end life's calamities. Allow me to touch the him of Your garment and become whole again. Bless us with the presence of Your peace as I wrestle in life with life. I thank You for my Friend, Savior and Redeemer - Jesus Christ. Because of Jesus, life is worth living because He lives in my heart, my mind, and my spirit. For that I give Thee all praise and honor, Amen. Just finished reading this wonderful article entitled, "Don't Short Obama: Why political futures markets got the health care bill so wrong" by Daniel Gross. What is wonderful about the article is that Mr. 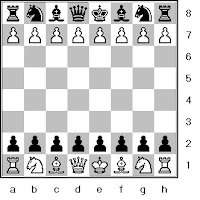 Gross presents convincing evidence that our President plays chess all the way to the end game. Many of his opponents think that he only had a strong opening. (In chess parlance the game is played in three parts: opening, middle, and end.) They thought that he was lucky to just get into the office. They don't realize that the is playing to win for the American people in the end. By every indicator the economy is turning around. Prior to his being in office the Dow was hovering around 8,000 and now it is robustly moving well beyond 10,000. Manufacturers of parts for computers that are installed in every product from digital televisions to digitally run vehicles are running over capacity and still unable to meet demand. In other words demand is greater than supply, an obvious sign of a robust economy. Universal health care is the law of the land in spite of all those who lobbied, rallied, and fought against it. Some media outlets would have you think that the opponents where the majority, but they really where the rouge minority. President Obama once said that, "this is what change looks like." To some it may look ugly, but to those 32 million people who will now have health care - it looks oh so sweet!" 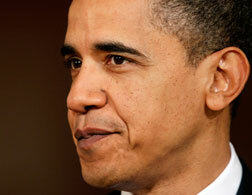 The opponents will never learn that you cannot take President Obama for granted. He is the one! God Our Father, in the tests of love we find ourselves wanting. We retreat too often in the deeper matters of life. We ask what is in it for me and miss the labor of love. For the labor of love asks what can I give. Teach us to move from our selfishness to self-sacrifice, so that all of our thoughts and all of our deeds are focused upon making life richer for others. Bless us with the anointing power of Your love that goes with us to see what the end shall be. We know that in Your awesome love for us you are always laboring to meet us at our greatest need. You are always striving with us to manifest Your goodness in our lives. Forgive us when we waste the precious gift of Your tenderness. Forgive us when our sense of self gets into the way. Remind us of Your love that came into the world so that we might be saved. In His Name we pray, Amen. God, Our Heavenly Father, too often we repeat old patterns and relive old experiences. We deny in our spirits the possibility of morning by morning new mercies we will see. You are consistent in Your power to do new things in our lives. Help us to break the monotony of the routine, the sameness of old habits and the comfortability of what is usual. Permit us the joy of new experiences, new relationships, new adventures, and the newness of life. We seek to live beyond our own abilities, our own concepts, and our own understanding. Equip us by the Spirit of Your love to live life in Your divine reality, where we have a peace that surpasses all understanding, where we have a joy that is unspeakable, and where we have power that comes from on high. With Your Spirit we will walk on water, perform miracles, and destroy the yokes of demons. This we ask in Your Name, Amen. Any way you look at the proposed changes in the Postal Service, they will affect those who most can least afford it. Data has concluded that families who earn less than $30,000 per year do not have Internet access. As a result they are in able to email, text, or transmit information electronically. Those family depend upon the Post Office for their mail service. Likewise, persons without permanent addresses use their Post Office Box as a receptacle for their mail. With the proposed closes of the Post Offices on Saturdays, their access to their mail will be restricted. Furthermore, with the decrease in hours the result will be lay-offs of personnel. Post Office positions were viewed as favorable jobs in many sectors of the community. For persons to lose these well paying jobs will wreck havoc in certain segments. By creating a quasi-public agency in the Post Office instead of it being a service of government has been a disappointing experience in privatization. Unfortunately, we have to live with the system we have which will give us less in terms of service, but require more in terms of costs. God, Our Heavenly Father, within Your divine order of life, we find ourselves seeking an Emmaus experience. An experience where You journey with us as we walk through life involved in all of our intimate details. You are aware of our triumphs. You know our tragedies. You know our failings. You know our moments of faith. Forgive us of our weaknesses. Forgive us of our inequities. Remember that there is room at the cross for me. In Your divine plan for salvation, Jesus Christ died for me and by his stripes we are healed. We pray for the power of Your word to become our source for living. We pray that our lives will be used to bless others. In the preciousness of this sanctuary, we pray for a manifestation of Your mercy and grace, so all will know that they can come to the feast of love, ever knowing that earth has no sorrow that heaven cannot heal. In the Name of the Father, Son and Holy Spirit, Amen. Tiger Woods is returning to work. Like everyone else he needs to earn an income and to support his family. It is simply fantastic that he has the kind of job that he can take time off to get himself together and return on his own timetable. He has no limit on the amount of income he can earn. The media and public are drawn to every swing of his golf clubs and every move he makes. The hazards of a public career is that no line is drawn between the public and private lives of those individuals. We get to peak into their bedrooms and boardrooms. We look for flaws and failings that so easily beset them, forgetting that those same faults beset us. I pray that Tiger Woods can reach an equilibrium in his family life. He is an outstanding golf player and I respect him for that and that only. Dear God, as we seek a deeper level of our love for You; You demonstrate to us in many ways Your love for each of us. We thank You, O God, for the wonderful work of the Holy Spirit that operates i our lives for our good. We thank You, God, for a widening fellowship of kindred spirits who love the Lord and are willing to serve. Create within us a sense of care and concern for all those who are in the household of faith. Prick our minds, O God, to preserve this earthy vessel - our bodies - for we are wonderfully made. Continue to hold us in the power of Your hand and permit us to squeeze out of each moment the sweet communion of Your Holy Spirit. In the name of the Father, Son, and Holy Spirit we pray, Amen. Last year Morgan State University Bears played the Oklahoma Sooners in the first round of the NCAA Basketball Tournament. Oklahoma led by Blake Griffin, first round draft pick for the NBA, won by a wide margin. Ameer Ali was suspended for two NCAA games for "body slamming" Blake Griffin when they became entangled in the game. Little would we know then the impact that action would have on the upcoming WVU vs MSU game on Friday, March 19th. Ali will have to serve the second game of the suspension by sitting out the first game in this round of the NCAA tournament. Why? Because the NCAA doesn't have jurisdiction over the MEAC Conference and the additional game could not be substituted with a MEAC game. It's unfortunate that Morgan's big man in middle who has tournament experience will have to sit out this crucial first game. It's tough enough being an under dog; it's even tougher being short handed in this early match-up. If there is any good news the suspension will be over after Friday and when they come back next year, Ali will be a junior and he should be raring to go. God, Our Heavenly Father, we have moments in our lives when we feel independent of your direction. We sometimes feel that everything is going our way. In those moments of weakness will you forgive us? Deep within our spirits we know You are the wind beneath our wings. Deep within our hearts we know that You are the Shepard and we are the sheep of Your pasture. Throw into the sea of forgetfulness all of our failings and flaws. Dip us into the fountain of Your everlasting love and transform our scarlet sins into the bright sunshine of the morning sun. Restore unto us the blessedness of knowing that Jesus saves and that he saves even me. In Jesus' name we pray. Amen. 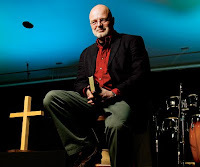 The name of Brian McLaren may not be immediately recognizable to you, but he is one of the world of Christianity's controversial writers on the topic of the "emerging church." I had the opportunity to meet, talk with and hear him speak on Monday, March 15, 2010 at St. Mary's Seminary and University. He is correctly challenging the faith community on their interpretation of the meaning of Jesus Christ to our contemporary society. He is challenging how church is done. He is challenging the faith formation process. He suggests that Everything Most Change" the title of one of his best selling books. I have an autograph copy of this book and his recently released, "A New Kind of Christianity." I found his talk to be thought provoking. He asked the question that in the faith community you are "asking a person to come to church at an inconvenient time and to an inconvenient place; for what purpose and what value will they derive from the experience." I believe the questions he is posing are questions all those who are seriously about their faith must answer. Thanks for helping me resolve the dilemma I was facing with having to make a selection between Morgan State University and West Virginia University in the first round of the NCAA Basketball Tournament. Just like I did with my children I will root for both to win. The athletes, students and schools are winners in every aspect. Their standing in my book will not be determined by the outcome of a basketball game. It will be determined by the outcomes they achieve in life. Congratulations Morgan Bears and West Virginia Mountaineers you are winners indeed. Wasn't that a "Solomon like" decision? Who do I cheer for on Friday when Morgan State University meets West Virginia University in the first round of the NCAA Basketball Championship? On May 16, 2009 my daughter graduated from Morgan State University and my son graduated from West Virginia University. Because of WVU's television exposure I have followed their season this year. They are an awesome team - the Big East Champions. Meanwhile, MSU - the MEAC Champions - receives virtually no television exposure and as a result I have not seen them play. Do I sit on my hands and show no expression? Or, do I cheer for good basketball plays? I'm not one to sit on the fence. Therefore, MSU enjoy the experience against a Big East powerhouse and play to your highest potential. When I was young there was a song about a little engine who sung, "I believe I can, I believe I can." That's the attitude you will need to take into this game, believing that you can beat WVU. On the other hand, the talent, the tenacity, and the teamwork of WVU will probably prove too much for MSU. Dear God, we are thankful that as we journey to the cross You grant us the peace of knowing that the cross cancels sin. It is because Jesus was wounded for our transgressions. For that we are thankful. It is because Jesus was bruised for our iniquities. For that we are thankful. We worship You in spirit and in truth; therefore we acknowledge the work of the comforting spirit in our lives. Forgive us when we resist the Holy Spirit. We know that through the Holy Spirit Your grace and mercy is following us. We know that through the Holy Spirit You seek to reconcile us to truth and righteousness. We pray for hearts that are attuned to Your Spirit. We pray for minds that will think on the better things of life. We pray for feet that will walk the path that Jesus walked. In Your precious name we pray, Amen. West Virginia University's Basketball team is the Big East Champions. They have proven to the country that they have the intangibles to be given a #1 ranking in the NCAA tournament. I've followed the Mountaineer Basketball team for the last nine years. They have progressively built a winning tradition. They will have a tremendous advantage in recruiting quality players to this school in Morgantown, WV. Da'Sean Butler is what the doctor ordered for this team. He has all of the intangible and tangible gifts to become a major star at the NBA level. He plays for the love of the game. He plays with the heart of a tiger. When the game is on the line he has proven that he has the will to place all of the marbles on his ability to shoot the ball into the basket. Congratulations to Coach Huggins and all of these amazing ball players who forever will be known as "Champions!" Dear God, Our Father, we celebrate today the soulful music that is resident in our spirits and hearts. We thank You for communicating with us in so many ways: through spoken word, through the preached word, through prayers, through the comfort of a loved one, and through music and song. You are always seeking to gain first place in our hearts and minds. We thank You for the gifts you have given Dr. Uzee Brown and his willingness to share with us and others. We have been mightily blessed by a weekend focused upon the songs of Zion. As we continue our journey that permits moments of praise, allow us to have intervals of joy, and provide us with segments of peace. We give all honor and glory to Your name. Amen. I guess I will stay up to watch the basketball game this evening at 9:00 p.m. between the Hoyas and the Mountaineers. Big City against the Big Country - this has all the ingredients to be a very good game. I'm a little bias in that I'm rooting for WVU. Dear God, Our Father, we are thankful for the joy of Your salvation. Our living has been enriched by the sacrifices of so many. During this month dedicated to Black History we silently call the names of untold persons who made a way out of no way because You were guiding their feet. Life is no crystal stair. Last week we were rejoicing and within a few days our hearts were sad. Come by here my Lord, someone needs you. Come be here and reassure us that everything is going to be alright. We know that the arch of life is bending towards Your love and care. Every now and then the blessed assurance of knowing that Jesus is available to us, helps us to keep on keeping on. We pray for our church family and its leaders. We pray for the preacher of this morning, We pray that we remain faithful to Your word. Now and forever more, Amen. It is unfortunate that the economic crises may find as one of its victims, The Ideal Federal Savings Bank. Ideal has been a anchor institution within the Upton Community for over 90 years. They maintained their commitment to serving residents of that community throughout the years. They have a deadline placed upon them to take some specific actions by the Federal regulators. Their potential demises signals that the economic tidal wave is washing ashore in our community. Is this the sign of things to come? Dear God, we enter into a month were we celebrate our history. Indeed you have been the constant reality throughout our time and place. We enjoyed the blessedness of Mother Africa, we survived the horrors of the Middle Passage and slavery, You empowered us to pursue our freedom, and you placed spiritual leadership along the way to guide our paths. O God, how wonderful is your name in all the earth. We thank you for the legacy of faith that engulfs us. We pray that our faith will not shrink and that our testimony will be true; that You, O God, have been our anchor in a weary land. You have been our strong tower and shield. We thank You for the sainted leaders who yielded their spirits to Your command. We pray that You will work in us as You worked in them so that our feet follow the straight and narrow pathway of our Savior Jesus Christ. Amen. Our own Bishop John R. Bryant is the Senior Bishop of the African Methodist Episcopal Church. As the lead representative of his denomination, Bishop Bryant joining in a collective manner with the African American Methodist denominations agreement to work together brings considerable clout and creditability. The AME, AMEZ and CME denominations have a responsibility to work together as religious leaders in our country and with their local churches within our communities. It's tragic to witness the inability for religious leaders to work together in a communal way at the local level. It is time that our national religious leaders provide the example for collective action to address the pressing needs of our day. The issues surrounding African American Males is a good place to begin. As I Pastor of a local congregation I'm ready to join in any serious effort to address this issue that has national and international ramifications. I will admit that I am excited to witness this particular collection of religious leaders from the Methodist faith. They have a sense of brotherhood and sisterhood that should break through historical barriers that have plagued the Methodist Denominations over the years. Taking 45 years to come together is a long time. Let's pray that they will stay engaged with one another for at least the next 45 years. Is so, we are on our way to the Promised Land. Dear God, We've been called to be a missionary and to announce that are King of Kings and Lord of Lords. We thank You for allowing us to participate in Your grand design to bring into being Your Beloved Community. In spite of our weaknesses, You give us the strength to go into the highways and byways of life seeking to love as You have loved, to restore those who are lost, and to heal those who are hurting. We pray that our missionary efforts are pleasing in your sight. We pray that our church fellowship continues "to serve the present age which is our calling to fulfill and may all our powers engage to do our Master's will." Create within each of us a clean heart and renew in each of us a right spirit. Take not Thy Face away from us and permit us to remain forever in Thy presence and to experience Thy peace. Now and forever more, Amen. I had the most amazing experience today after I shared my prayer as the Maryland State Senate Chaplin for the day. Instead of leaving after the prayer as many clergy persons do, I say on the podium with the President of the Maryland Senate Mike Miller. He is a master at navigating legislation through that body. Given his cultural perspective he seeks to be fair in his dealings. No one is perfect. Nor should we except him to be on the right side of every issue we support; but he is disposed to listen and to weight the options he has available. I have shared the podium with him for four consecutive years during the month of March as the session is winding down. Today, I witnessed him leaving his Chair as President to attend to some personal affairs. While he was away, Senator Nathaniel McFadden to over the seat and presided over the Senate. Wow! As the Speaker Pro Temp he is next in line in leadership and has quietly over the years been groomed for this awesome position. I marveled as he was able to call each of his colleagues by name. I was impressed with his ability to move the vote on matters and delegate important matters to their appropriate committees for review. This humble man from East Baltimore and Baltimore City College is one of the most powerful men in the State of Maryland. In his position when the time comes to reconcile the budget he is one of five persons in the room who makes the final decision. I commend State Senator Nathaniel McFadden for his standing within this body and his commitment to the Citizens of Maryland and Baltimore City. Let us pray: We face a period of tremendous challenge. Our country, state, counties, and cities are all under the stress and strain of limited resources and unmet needs. The Citizens of the State of Maryland have entrusted in us the awesome responsibility of being good stewards of their resources and good representatives of their hopes and dreams. You have guided our feet to this time in history when we are charged as legislative leaders to shift through bills and policies; but more importantly to shift through our own hearts, minds and spirits to discern Your will in us and to follow Your way for us. Indeed life demands of us that Thy will be done. We thank you for the opportunity to serve the last, the least, and the lost. Insulate us from undue political pressure. Inoculate us from blind ambition. Empower us with a resolve to seek mercy, to do justly, and to walk humbly with you. The time for our legislative session is winding down. There are those among us who may not return. Bless them as only you can. Protect them as they continue life’s journey. Allow them to experience the joy of family and relationships that comfort and affirm them. Others will return. For them political life may seem like a never ending series of meetings, fundraisers, debates, and long nights. Help them to return once again with vigor, vitality, and vision. Indeed without vision the Citizens of the State of Maryland will perish. We thank you for the distinct honor to be called Senators of the State of Maryland. We thank you for the responsibility entrusted to us. We thank you for the leadership provided by Senators Miller, McFadden, Kasemeyer, Gladden, Kittleman and Jacobs. They carry the mantle of leadership with integrity and grace. We make of You this request, that The State of Maryland become the greatest State in America: a State where people who are hungry are fed; a State where people needing health care are insured; a State where a second chance is seen as a redemptive force; a State where children receive a quality, affordable education; a State where business operates in such a way that job opportunities are increased and unemployment is decreased; a State where people are safe and secure; a State where differences are applauded and discrimination is eliminated. We close our prayer with the awesome weight of this reality on our shoulders. “Our hands are on the plough, our faltering hands, and all that is before us, is un-tilted land. The wilderness in its solitary place. The lonely desert with its inner space. The handles of our plough with tears gets wet, the shears with rust are spoiled, and yet. Dear God, This Sunday we stand on the eve of a break through in the affairs of our country and world. We are called to follow the leadership of a President who looks like us. We pray for him and his family. We are thankful that in the grand mosaic of life the last shall be first and life affirms that people of color are the head and not the tail. We pray that the spirit of the living God reign in our land. We pray for the love of Jesus Christ to become acceptable and resident in the hearts of all people. We pray that our fellowship becomes more loving in our hearts. We pray that our sense of love will influence the children, that families and the people of this community in a trans formative way. We thank you God for the power of your presence and the peace of your provisions. Keep us forever in your care. Now and forever more. Amen. Congratulations to Mo'Nique on winning an Oscar for best supporting actress. I believe she is the first Baltimore area persons to win such an award. On the left is a picture from her early days when she was a small town attraction. Now, she is on the big screen, television screen, and on jet set scene. There is a lot of sacrifice that one must make to chase their dream. Tinsel town is full of dreams deferred. I pray that Mo'Nique develops a deeper sense of purpose and being. It would be tragic that one accomplishes so much, yet lives as a tortured soul. I pray for stability in her relationships. It is difficult to move through life with an entourage, and yet be alone. I pray that she maintains an ability to laugh, just as she has made the world laugh through her routines. Finally, I pray that she acquires the clout to demand roles of her choosing and rise above a stereo-typical image created by Hollywood. Our Heavenly Father, we thank you on this day made sacred by sacrificial living. We thank you for those person who live among us that embody your word. We thank you for the living witness of our Sainted Leaders who gave their best to the Master, who gave Him first place in their hearts. Create within each of us the strength of character, the commitment to duty, and the willingness to give that ushers into being a quality of life for others. We pray for faithful service glad and free. We pray that in life's journey you can count on us. As you counted on Martin, as you counted on Harvey, as you counted on Baxter, as you counted on Vernon, and as you count now on Barack; count on us to place our hands to the plow and not turn back. May we bring Honor and Glory to Your Name. Amen. Dear God, In this New Year we seek to live in a more righteous way. We pray for opportunities to serve and to magnify your Holy Name. We pray for your forgiveness for our shortcomings. We are well aware of your tender mercy, but we acknowledge your demand for justice in all of life's encounters. More responsibility will be placed on people of faith. Help us to hold on in this season of hope and promise. Help us to walk in a way that enables us to be called Children of God. We pray for families and members of our church. In all that we do and say we praise God from whom all blessing flow, Amen. Last night I enjoyed a wonderful play at Morgan State University's Turpin-Lamb Theater entitled, "the bluest eYe" by Toni Morrison adapted by Lydia R. Diamond and directed by Shirley Basfield Dunlap. The play will run through Sunday, March 7th. You will be amazed by the talent of the Morgan State University students who share this powerful story of love, abuse, and faith. I recommend this as a change of pace activity. Support the arts in Baltimore and at our Historic Black Colleges and Universities. Any way you look at it, The Raven made an excellent move to acquire Anquan Boldin as a wide receiver. He brings impeccable credentials as a receiver to the Ravens. He is tough and has the size and power to break loose from defensive backs. He will look good in our purple and black uniforms. Our prayers are with Baltimore Mayor Stephanie Rawlings-Blake who returned to work after a stay in University of Maryland Hospital. As she continues to serve our city we do not expect her to be a Superwoman; just a Super Mayor. Honorable Mayor please be certain to maintain a healthy lifestyle. Delegate the work load to the fine staff you are assembling. Dr. Benjamin Mays once recited a poem by an anonymous poet, "We only have a minute. Only sixty seconds in it. Forced upon us can't refuse it. Didn't seek it. Didn't choose it. But it's up to us to use it. We will suffer if we lose it. Give account if we abuse it. Just a tiny little minute but eternity is in it." I pray your strength in the Lord and pray that he restore and sustain you now and forever more. Amen! 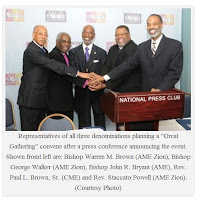 This week in Columbus, South Carolina the Bishops, leaders and members of the three major African American Methodist denominations: AME, AMEZ, and CME came together on Monday, March 1st through Wednesday, March 3rd in what was billed as, "The Great Gathering." This photo which announces "The Great Gathering" was held at the National Press Club. Of the five persons depicted, four are my friends and colleagues. Rev. Dr. Staccato Powell, Bishop Warren M. Brown, Bishop George Walker, and Bishop John R. Bryant. These men are committed to the struggle and provided leadership for our community at national and local levels. Our community has much to gained when our religious leadership address problems in a collective manner. I'm proud to announce that Bishop Warren M. Brown will preach at Union Baptist Church on Sunday, March 28, 2010 at 11:00 a.m. which is our Palm Sunday service. Come hear one of the major religious leaders of our times. In just a few more days a fantastic play at the Centerstage will end. "Let There Be Love" stars Avery Brooks and its playing in downtown Baltimore. He played "Hawk" in Spencer for Hire and then in a show named for the character. He played in Star Trek. And, now he is live and in person in Baltimore. I saw the play on opening night; during a break in the snow storm. It was a way for my wife and I to break the cabin fever we were experiencing. It was a delightful evening and a wonderful play. I talked with the writer and producer of the play. I talked with one of the female actors who was walking to her apartment after the show. Centerstage is one of our hidden treasures and is a place I urge everyone to support. 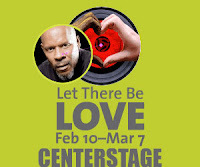 "Let There Be Love" is a play I highly recommend that you not miss right in our backyard. Hint: when I talked with the producer he indicated that its playing in Baltimore as a test before they take it to New York and California. In the world of theater we have the opportunity to see it first. University of Maryland Basketball team is not the team that I follow since the death of Len Bias. On occasion I have seen them play. The star of the team is their point guard by the name of Gerivis Vasaquez. He is a phenomenal college basketball player. I think he has the skills to find a place somewhere in the NBA. Clearly he represents a constituency they would like to watch the game. He has skills. He has charisma. I plan to watch his game tonight against Duke. This will be his last home game in the University of Maryland Basketball coliseum. I wish him the best in the game and in life. Seems like the future is returning to the past. A company called N2A (No Two Alike) is planning to produce this vehicle called "789". 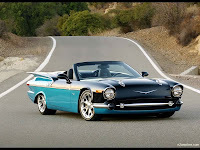 "789" comes from the front of the car designed like a '57 Chevy, the side designed like a '58 Chevy, and the rear designed like a '59 Chevy. Wow!!!! Since this is over the hump Wednesday, I thought we could use this occasion to dream of a time when life seemed more simpler. Would you drive one of these around the corner? Do you every feel like a chess piece on a chess board? Is your life a series of moves simply avoiding being captured by forces greater than yours? Are other pieces in the game more powerful than you? Are you able to become greater or is your position on the board fixed? Chess is a game ultimately controlled by a chess player with experience and patience. Life is a reality ultimately determined by the choices (moves) you make. Are you trying to advance or simply marking time? Are you attempting to win or simply trying to avoid defeat? Are you on offense or defense? I don't see life as a chess board because for me life is not a game. Life is the internal pursuit of your purpose in God's Kingdom. Many people have asked me for tips on improving their prayer life. 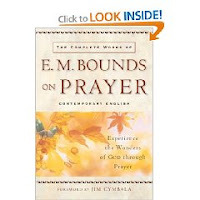 I recommend to you this book by E.M. Bounds entitled, "The Complete Works of E.M. Bounds on Prayer." He will provide you with a very complete and in depth understanding of the power of prayer in your life and for the benefit of those you love. His works are a part of my daily meditation and reflection. I highly recommend this book for those who are seeking a closer walk with God. Indeed when you learn how to better communicate with God, I believe God will reward your desire to be closer to him with the power of His presence, protection, provision and peace. Brother Garland L. Thompson has released a book on "Black Scientist & Engineers who Changed the World." 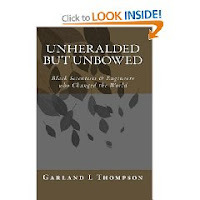 Titled, "Unheralded But Unbowed", this book is a must read to understanding the tremendous accomplishments being made everyday by scientists and engineers who are African American. They are ushering into being an informational age where the definition of leadership is being shaped in laboratories and boardrooms by people who are of African American descent. This revolution at so high an intellectual and business level is going on largely unnoticed. We are blessed to have the keen insight and literary skills of Brother Thompson to bring this exciting development to our attention. You can obtain his book on Amazon.com. What's right with this picture? We see African American school children excited about education. We see a classroom that is clean and colorful. We see school children who are confident that they know the answer to the question. We see students in a coordinated uniform who look attractive. We see our future with all its outstanding possibilities. This is the vision for every school class in American and particularly the school classes right in our backyard. The question really is what are you willing to do to make this happen in your neighborhood school?